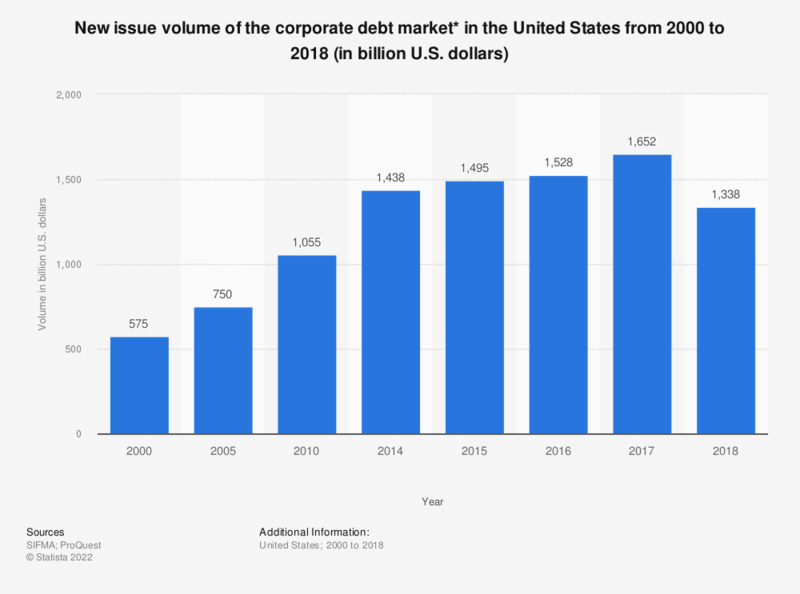 This statistic presents the new issue volume of the corporate debt market of the United States from 2000 to 2017. In 2017, the new issue volume of the corporate debt market of the United States was 1.65 trillion U.S. dollars. *Includes nonconvertible corporate debt, Yankee bonds, and MTN's (Medium-Term Notes), but excludes federal agency debt and certificates of deposit.